Who’d be a goalkeeper?! Not many of us, really. They don’t know what it’s like to score a goal or bamboozle a defender leaving him flat on his bum. Still though, when a goalkeeper does produce anything out of the ordinary it’s a great sight. Well, that’s exactly what happened in Australia. Spirit FC were losing 3-0 to the Macarthur Rams and were down to ten men, only to battle on and eventually pull it back to 3-2. With just a minute left on the clock, Spirit FC were awarded a corner, resulting in their goalkeeper heading into in the opposition box in what was a last minute gamble. Well, it paid off. 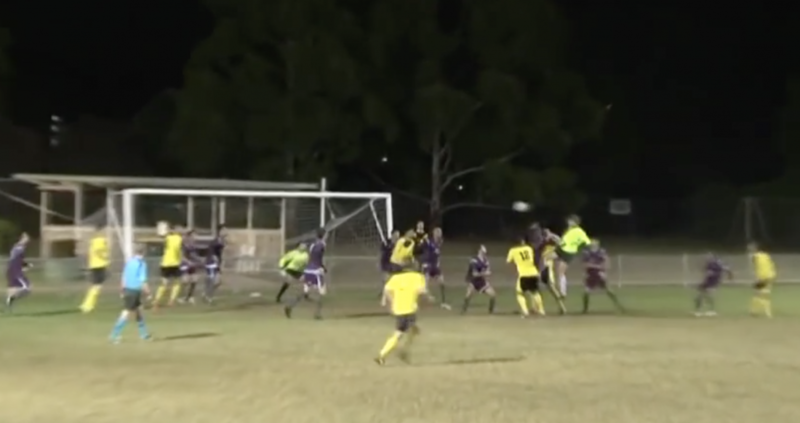 He managed to rise above the Rams defence and do something most goalkeepers can only dream of – score the equaliser. Next: Next post: Is this the best set of managers we’ve ever seen in the Premier League?